Cardcaptor Sakura Collection Two is the second (and final) set out of these long-awaited DVD releases and contains the second and third seasons of the show. Season two has Sakura collecting the last few cards in order to stop a great tragedy from happening. She is also having this recurring dream of her standing on top of Tokyo Tower battling some shadowy figures that seem very familiar to her. 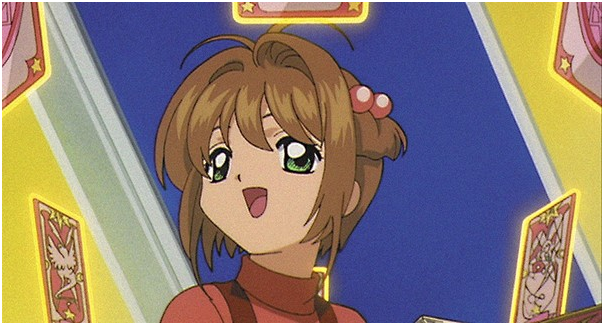 Sakura is also starting her next year at school and absolutely adores her new teacher Mizuki but Li (the other cardcaptor of this story) seems very suspicious of her. Will Sakura capture the last of the cards and stop the great tragedy? Who are these shadowy figures Sakura keeps on dreaming about? Is Mizuki somehow connected to all this? Season two is rather short being only ten episodes long so you will find out the answer to all these questions rather quickly. What I don't get is why they didn't just do these episodes for season one? I really hate it when shows do that grr. There are some things I do really like about this season and that is the shows writing has gotten more tight and less predictable than what it was in the first season. I also do like how the great tragedy is written to be very mysterious to the point where it could be anything leaving you guessing to the very end. I really enjoyed the second season but once I saw I still had twenty-four episodes to get through after an ending like that, it gave me a bad feeling that the show is going to go downhill from there. Will my expectations come true? Or will I be wrong? Well let's move onto season three of the show. (Click "Read More" for rest of article). Our third and final season of the show starts off with Sakura in her toughest battle yet when a powerful storm caused by magic hits town. 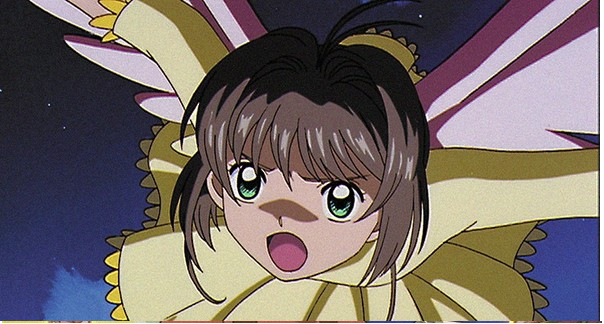 Sakura goes to stop it but her magical powers just won't seem to work until she finds out that she has to make all new powers called “Sakura Cards” which happens by turning the old Clow Cards into new ones. She is successful in making one and stops the storm but not without any backlash as it takes a lot of energy just to make one card leaving Sakura very tired. 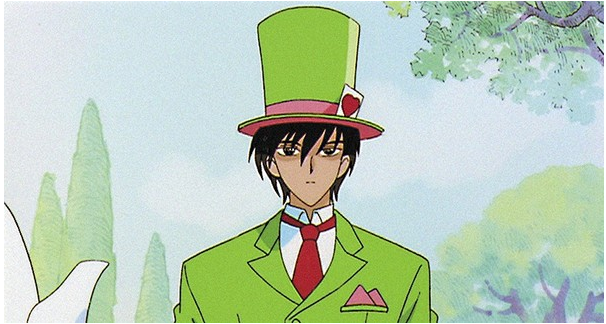 That's not the only thing happening as there is a new classmate from England named Eriol and suspiciously every time he is around trouble starts to happen. You will find out that Eriol is doing all this to cause Sakura some trouble right from the get go... or is he? What are Eriols motifs? Can Sakura succeed in her quest to make a complete set of Sakura Cards? I was quite surprised with this season as I thought it was going to be all down hill but this turned out to be some of the best the show has to offer. The action scenes were intense and the drama had me rooting for the characters quite a bit. The build up to the final episodes definitely paid off and I was quite satisfied with the ending which is a very uncommon thing for me with anime. Not to say that this season is perfect by any means as it does suffer with a bit of filler but even the filler episodes were enjoyable. It is safe to say that out of all three seasons this is the best one. The artwork has aged a little bit but it still looks very beautiful with a lot of detail in the scenery and the costume designs. The characters are drawn very cute and are animated very well and with as much detail as the artwork itself making the mixture of the two very smooth but there will be a rough animation every now and then but you'll forget about it very quickly. The music is very upbeat and catchy and I can't help but smile when I hear them as it's enough to brighten up anybody's day. Like collection one this release is subtitled only and is actually a good start if you want to start watching your anime subbed as it's very easy to read and the story is very easy to get up to speed with if you happen to get distracted and miss a few lines of what they are talking about. I have no problems with the Japanese dub it's pretty good suits the characters very well. 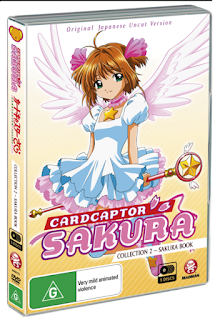 This set does include some typical anime special features like clean openings and closings (text-less credit sequences) but there is also one thing that is exclusive to this particular set and that is an interview with Sakura Tange (The person who voiced our cardcapting hero Sakura). The interview was a good read but I can see people getting frustrated as it is in text only instead of being in video but hey it's still a nice surprise to have something that no other country ever got in their releases. 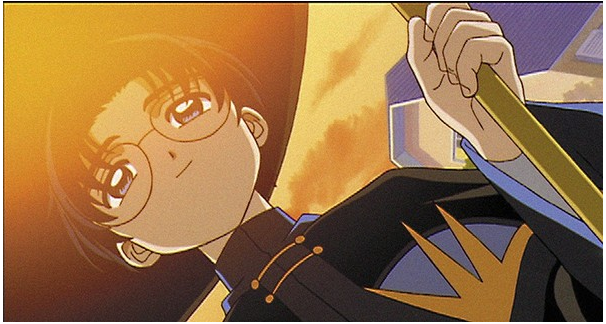 What I would like to see Madman do next with the series is to release a collection of the movies and specials to complete the Cardcaptor experience. Overall I liked this one way better than the first collection (and I still enjoyed the first collection). I highly recommend adding this set (and collection one) to all your expanding anime collections.